I recently flew out to San Francisco for the Pinterest Conference. I scheduled myself to arrive as early as possible the day before the conference so that I could have almost a full day to explore San Francisco. I did some online research to determine the best things to do in San Francisco and the best place to stay. 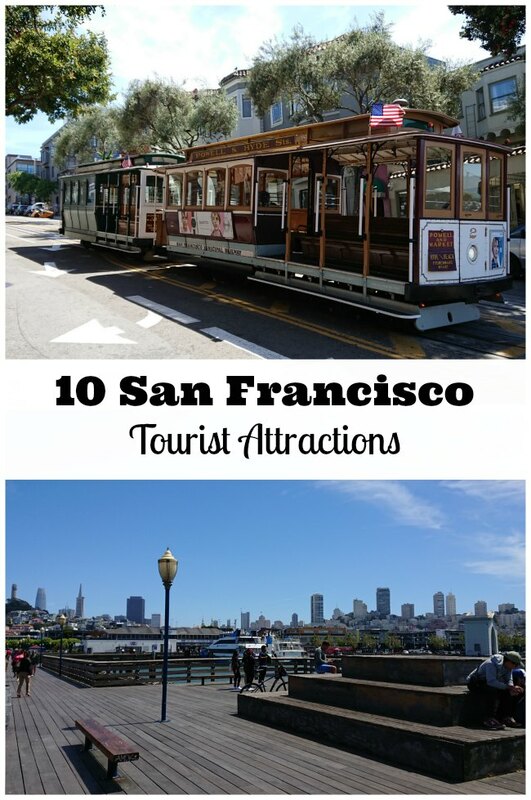 Here, I will share with you the San Francisco Tourist Attractions that I decided to visit on my trip as well as the iconic San Francisco hotel where I stayed. Your trip to any city generally starts with the hotel you chose. I spent a lot of time online selecting The Palace Hotel In San Francisco. I wanted to find a hotel that I could easily reach by BART from the San Francisco Airport and that was in a safe area of town for me to be able to walk around and sight see. As I searched, I discovered a classic Gilded Age hotel that was perfectly located and looked too lovely to miss. The Palace Hotel, a Luxury Collection Hotel in San Francisco, was originally built in 1875 and was the largest and most costly hotel in the world at that time. 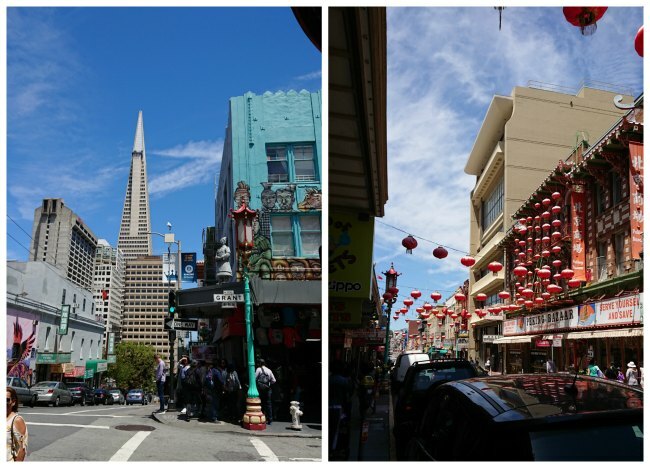 The stunning features of this luxury hotel drew me in and it’s central location in the San Francisco Financial District, just blocks away from Union Square, and Chinatown sealed the deal. 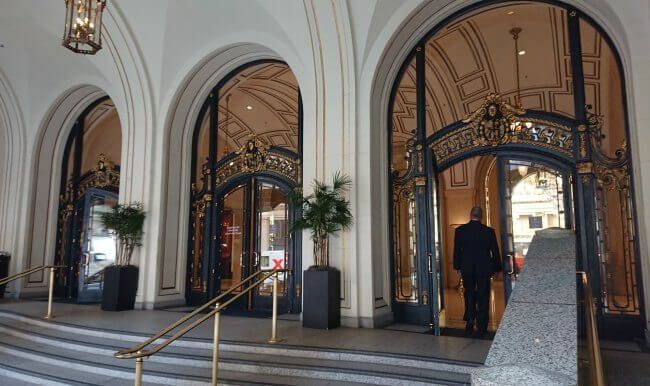 As I rode up the BART escalator and emerged into the heart of San Francisco, I was blown away by the magical feeling in the air and the sight of The Palace Hotel looming over me in all of its beautiful brick, wrought iron, and gold overlay details. In fact, I took a few minutes to soak it all in and window shop some of the stores before I actually went in to check in and drop off my bags. 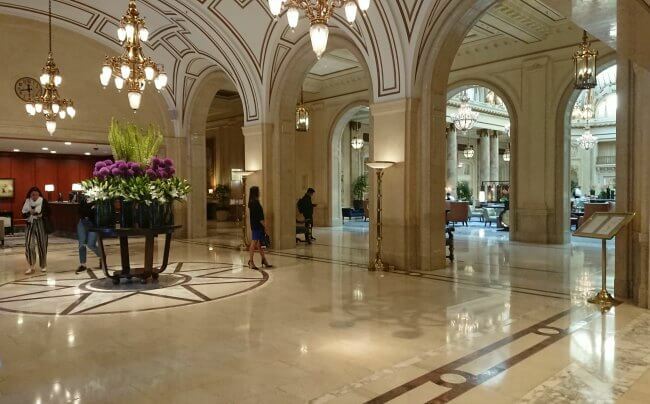 The interior of The Palace Hotel In San Francisco is just gorgeous from the lobby to the Garden Court. In fact, the Garden Court may just be the most spectacular interior space I have been inside of in the USA. The Garden Court’s stained glass dome atrium with Austrian crystal chandeliers is truly a spectacular San Francisco sight to see and a great way to be welcomed to San Fran. 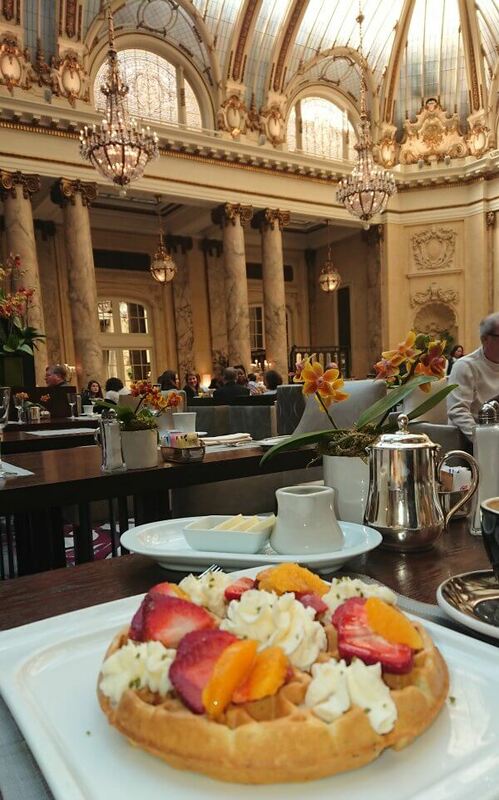 I had the pleasure of enjoying an amazing breakfast there (Lemon Poppy Seed Waffles topped with Citrus Marinated Strawberries, Whipped Ricotta, and Crystallized Basil). Someday I plan to go back and enjoy an afternoon tea service at The Garden Court with my daughter. My whole stay at The Palace Hotel In San Francisco was quite lovely from the spacious rooms to a swim in their pool that offered views of the city. It made a great starting and ending point for my San Francisco trip. Even if you weren’t staying there, I would certainly not want to miss a meal at The Garden Court or a cocktail at the Pied Piper Bar. After dropping my bag off at the hotel, I decided to take a walking tour of San Francisco. 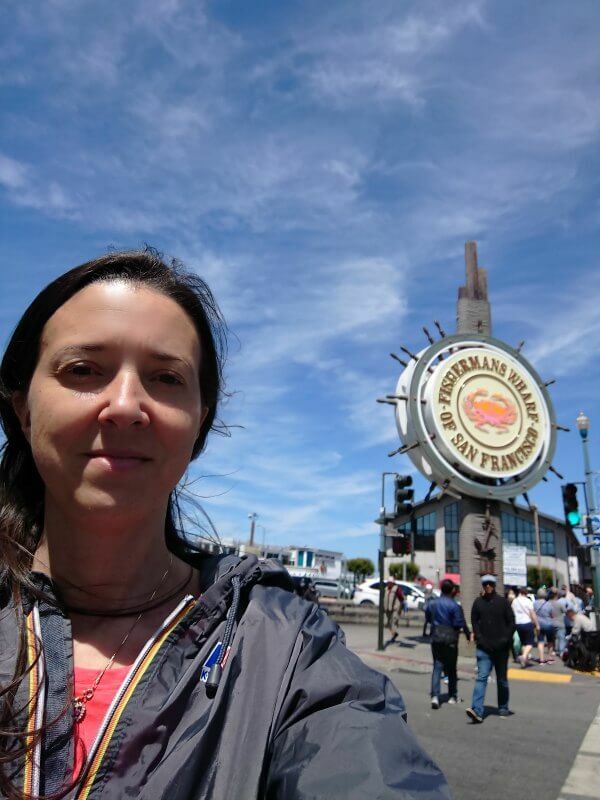 Sure I might not be able to cover quite as much space as a bus tour (which a friend did and loved) but I felt like walking at my own pace would be the best way for me to soak up all of the San Francisco tourist attractions. I walked a few blocks through the financial district, stopping for some delicious Indian street food and looking in all the fancy shop windows as I went towards Union Square. 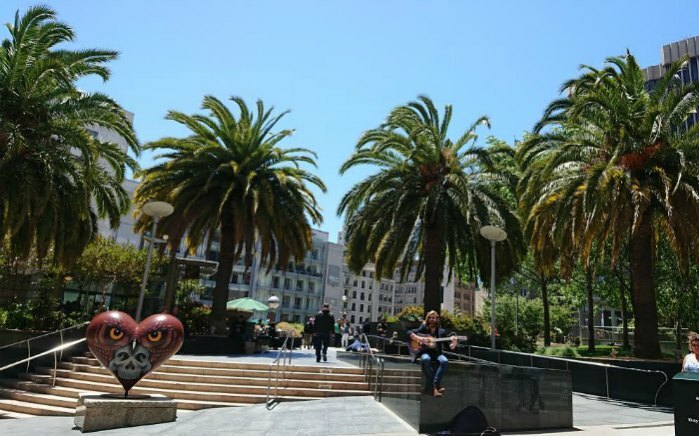 I arrived at Union Square and parked myself in the center for a bit as I took in the views, listened to the street music, and really felt part of San Francisco, even if just for a day. There are tons of shops, cafes, hotels, and people milling around to look at! Next, I walked in the direction of China Town so that I would enter at the Dragon Gate. There are lots of souvenir shops with Chinese clothing, slippers, and trinkets. 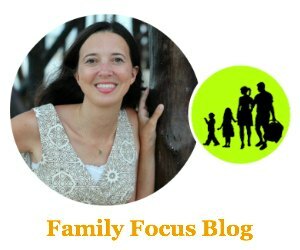 I stopped at a few and got a Chinese dress for my daughter and a karate outfit for my son. There were also shops with beautiful Chinese artwork and intricate carvings. Chinese food shops and Chinese medicine shops held lots of unfamiliar treats and offerings. There were plenty of restaurants to chose from. This is one of the San Francisco tourist attractions you don’t want to miss because it transports you to a whole different part of world and cultural experience. It is also a great place to catch a close up of the Transamerica Pyramid. Eventually as I walked, China Town merged into Little Italy. Italian cafes, delis, restaurants popped up everywhere. I passed one called, The Stinking Rose, and thought it was a funny name. 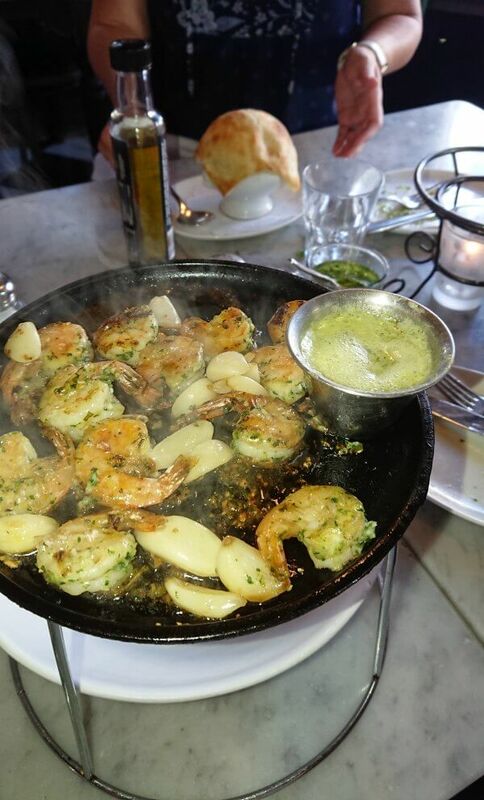 Later, I ended up coming back to it with a friend who was enchanted by their garlic infused menu. It was a fun experience and my mouth is watering just thinking about all those roasted garlic cloves! When I crossed into North Beach from China Town, I got a little confused about my directions as Columbus Ave cuts across everything at an angle. A friendly business man asked me where I was going and I told him I didn’t quite know, one of the joys of being on vacation, I was just wandering. He pointed me in the direction of Washington Square. 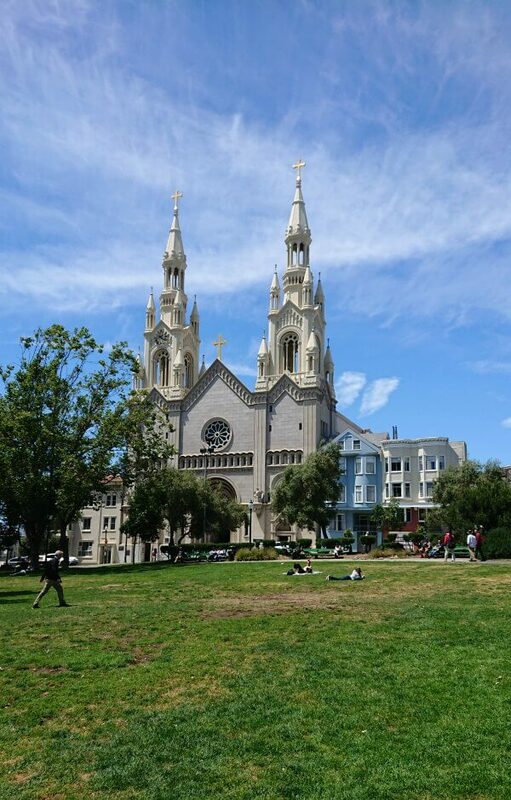 Washington Square is San Francisco’s oldest park. 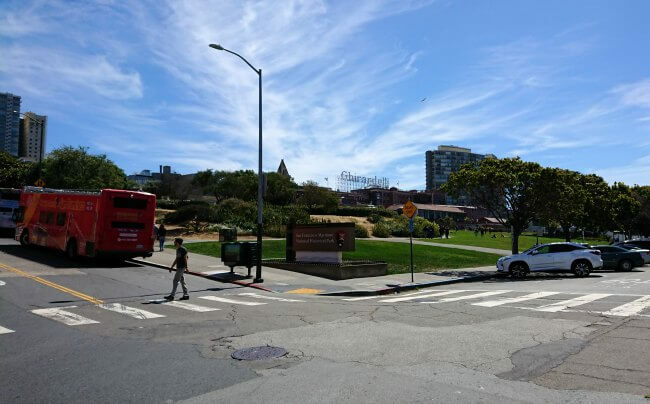 It is a nice green area of space where people lounge about and enjoy being outdoors and being a part of San Francisco. I enjoyed the view of the Saints Peter and Paul Church and an unusual memorial to a pioneer business woman from the late 1700s. All the while as I wandered from one site to the next I enjoyed the iconic steep hills of San Francisco. As I approached the coast and Pier 39, everything flattened out and you look out at the bay toward’s Alcatraz Island and you feel suddenly small as the wind blows off the ocean. 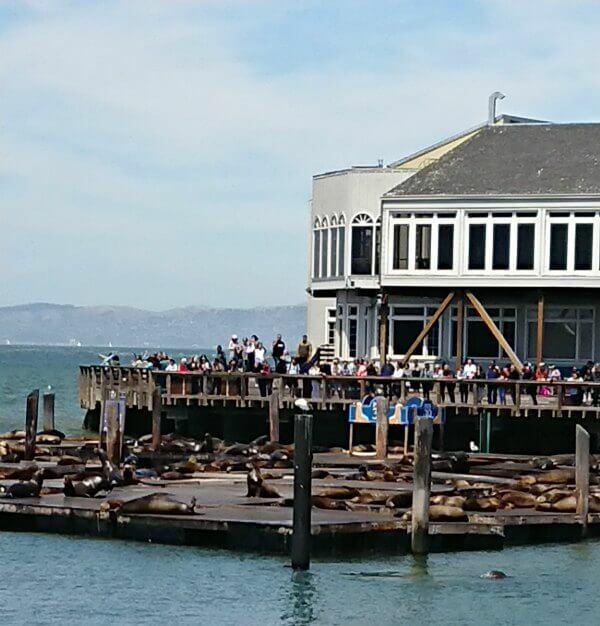 There are lots of piers along the bay that are part of the San Francisco tourist attractions, but you don’t want to miss Pier 39 because it has wooden floating docks for the Sea Lions to use and you can watch them as they sleep or fight over platforms as the case may be. Pretty darn cool. 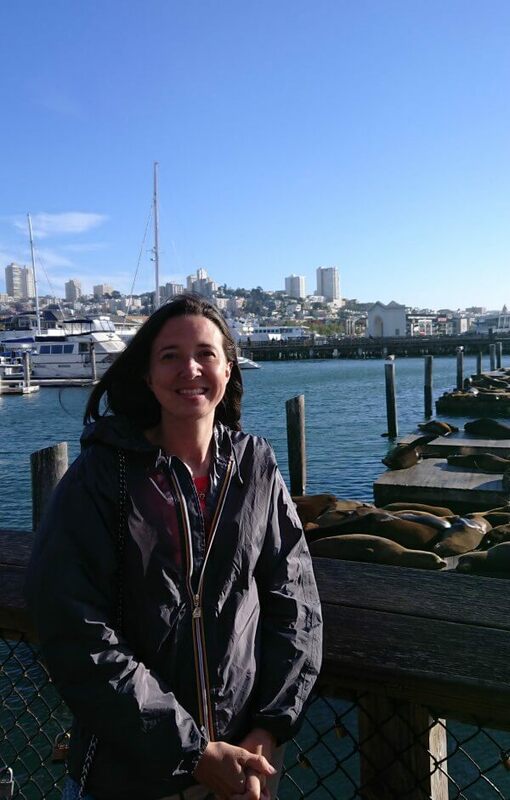 I could watch Sea Lions for hours really if I had time! I continued walking along the water’s edge and through Fisherman’s Wharf. Lots of shops and eats as you go. Lots of food vendor’s selling fresh seafood creations. There were street performers and the Cable Car trolley stop. The USS Pampanito is there to see. It is a submarine from WWII turned into a museum. I passed a fancy Crispy Creme and an In-N-Out Burger on the way to Hyde Street Pier. 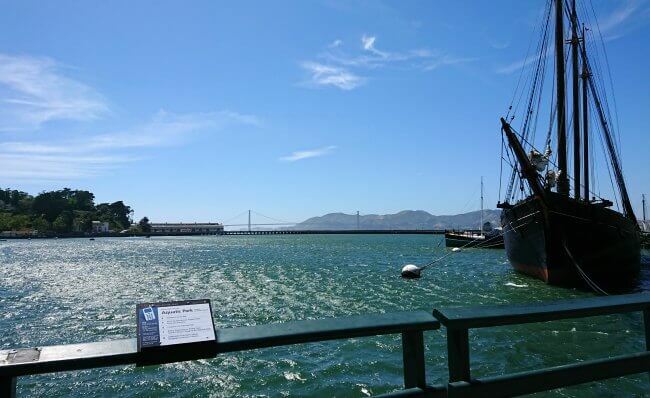 You can see old maritime vessels along the Hyde Street Pier as part of the San Francisco Maritime National Museum and lots of informative and interactive exhibits as you go down the pier. I also chose to go down Hyde Street Pier for it’s lovely view of the Golden Gate Bridge. Ghirardelli Square is so named for the old chocolate factory turned shopping mall. It is a nice spot to sit and rest and enjoy the view of the bay for a bit. At this point, I decided to get back to my lovely oasis of a hotel. I headed back toward the hotel taking a different route so I could see new things. I passed Lombard Street which is known for it’s steep 27-degree angle and famously crooked hairpin turns. I enjoyed all those steep hills a little less when I was walking up them than when I was walking down them! But still it was fun to get to really know San Francisco on a walking tour and I quite enjoyed experience of San Francisco in one day! I then met a few friends for dinner and drinks that evening and we exchanged stories about what San Francisco tourist attractions we had each managed to see. Have you been to California before? Have you been to San Francisco? Which San Francisco tourist attractions do you most want to see?